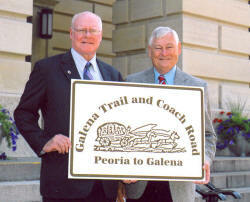 The Galena Trail and Coach Road crosses Peoria, Marshall, Bureau, Lee, Stephenson, Carroll, and Jo Daviess counties in Illinois. 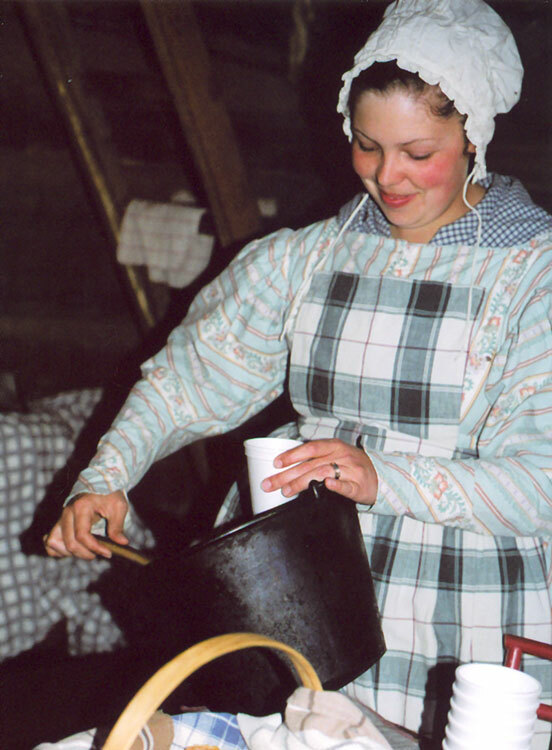 Before the 1832 Black Hawk War, the Trail also served the lead mine communities of southwestern Wisconsin, including Shullsburg, Mineral Point, and Hazel Green. The following selected links are an introductory guide to communities and attractions along the 1825 Galena Trail and the 1833 Galena Coach Road corridor. Apple River Fort has been reconstructed on the site of a spirited battle between mining families and Black Hawk’s warriors during the 1832 Black Hawk War. The fort is an Illinois Historic Site maintained by the Illinois Historic Preservation Agency and features an interpretive center and regularly scheduled events with costumed interpreters and entertainment of the period. 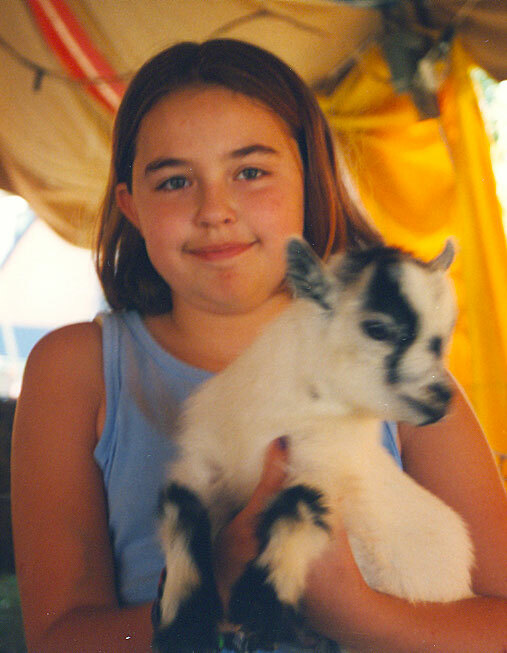 County Fairs are held along the Trail nearly every week from late June through August. Agricultural fairs were first organized here in the early 1840’s to test and promote techniques and equipment that allowed farmers to break the tough Illinois prairie and grow cash crops. 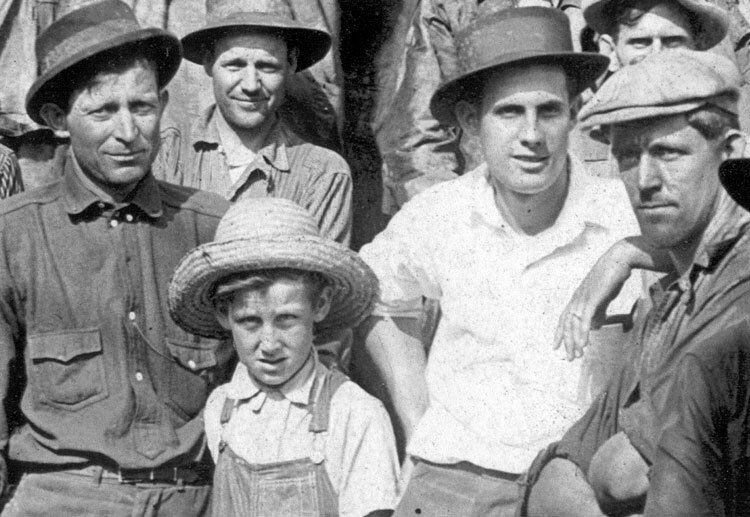 “Trails of Plows,” stock shows, and crop exhibits soon became an important part of Illinois agriculture. County fairs still play a role in Illinois agricultural life, and now include carnivals that add razzle-dazzle and entertainment that appeal to fair goers everywhere. John Deere Historic Site and Grand DeTour, Ogle County. 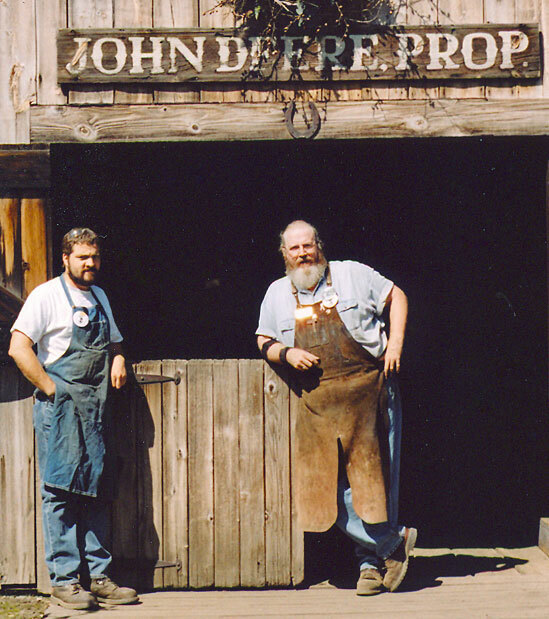 Visit the 1837 home and blacksmith shop of John Deere, the man who invented the popular steel plow that broke the prairies. Deere lived and worked in Grand DeTour from 1837 to 1848, and this is the site of his first success. Buildings and homes familiar to Deere or dating from the pre-Civil War period are seen throughout the village. 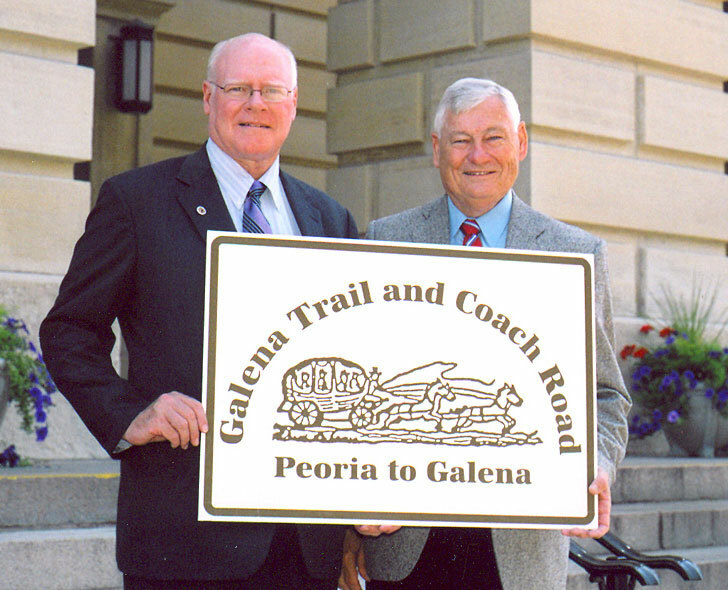 Representative David Leitch and Senator Dale Risinger display a Galena Trail sign on the steps of the Illinois State Capitol, July, 2007. This is the website of the Society that successfully lobbied the Illinois General Assembly to authorize IDOT to mark the 1825 and the 1833 alignments of Galena Trail with directional signs. In 1830, Galena was a booming mining town and the commercial center of the Lead Mine Region. It was also the largest town in all of northern Illinois. Today Galena remains a prosperous and scenic town set amidst the beautiful hills of Jo Daviess County. It retains much of its historic charm and many of its historic buildings, while at the same time catering to the modern traveler. www.granthome.com: Grant Home Historic Site is the Galena home of President Ulysses S. Grant, presented to Grant by the citizens of Galena in 1865. It is a distinctive and luxurious Italianate style home constructed in 1860 and furnished with Grant family antiques. Home of U.S. Congressman Elihu and Adele Gratiot Washburn. Elihu Washburn was a political advisor to both Presidents Lincoln and Grant. Adele was the daughter of mining pioneer Henry Gratiot. Their beautiful Greek Revival home was built in 1843 and is a prominent landmark overlooking the Fever River and the town of Galena. Old Market House. 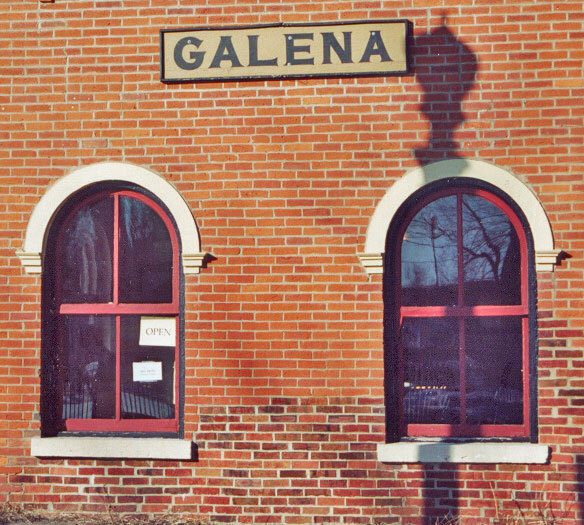 Constructed in 1845-46, the Greek Revival style Market House was the commercial heart of Galena during its lead mining heyday. The building serves as an interpretive center, with changing exhibits and special events interpreting the history and development of Galena and the Lead Mine Region. In 1825 and 1833, the Galena Trail and Coach Roads crossed vast prairies that were untouched by the plow. 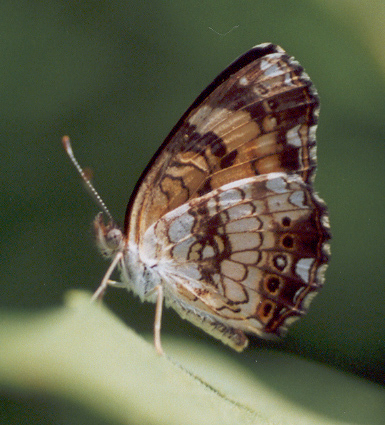 Extensive prairies in Lee County’s Green River State Wildlife Area and Nachusa Grasslands have been restored to their former glory, offering the traveler a rare glimpse of early northern Illinois. 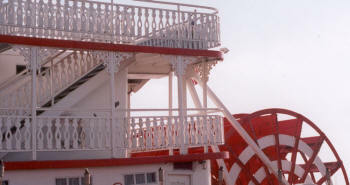 www.leecountytourism.com: Lee County Convention and Visitor’s Bureau site. nature.org/wherewework/northamerica/states/illinois/preserves/art1116.html Nachusa Grasslands conservation area, preserving an outstanding Illinois prairie. www.ronaldreaganhome.com: Ronald Reagan Home: Ronald Reagan was a later Trail traveler. He was born in nearby Tampico, Illinois in 1911, and was raised in or near the Galena Trail. He spent his high school years along the Trail in Dixon. The Ronald Reagan Trail, which traces Reagan’s youthful adventures, follows and crosses the Galena Trail at many junctures between Peoria and Dixon. 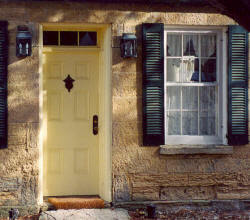 The Reagan Home in Dixon is a National Historic Site and open to the public March – October. 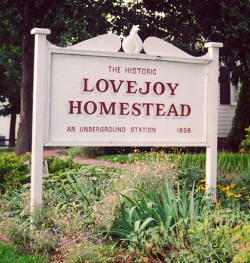 This simple, c. 1837 homestead was the longtime residence of United States Representative and radical abolitionist Owen Lovejoy (1811-1864). The home was also a well known station on the Underground Railroad and focal point of anti-slavery agitation prior to the Civil War. Lovejoy served with Lincoln in the Illinois State Assembly, and in Washington, he continued to be the President’s friend, supporter and advisor. Lovejoy was a prominent figure along the Galena Trail, organizing and supporting anti-slavery societies and churches, and advocating political action to end slavery in the United States. Mineral Point, Iowa County, Wisconsin. In 1825, Oliver Kellogg opened the Galena Trail from Fort Clark (Peoria) to Galena, passing through the lead mines of southwestern Wisconsin. In 1826, miners at Mineral Point paid John Boles $120 to stake out a more direct road from their diggings to Fort Clark. Boles’ Trail alignment shortened the Kellogg Trail, but did not replace it. Today, the architectural and cultural heritage of the lead mine region, John Boles and the Cornish miners who toiled there have been preserved and brought back to life by artisans and residents of Mineral Point, a modern town with a dynamic interpretation of its past. 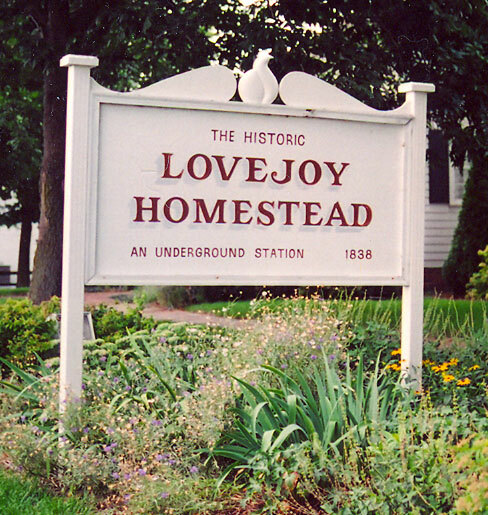 Before the Civil War, Ogle County was an abolitionist stronghold, with a strong network of families who were conductors on the Underground Railroad. Local abolitionists such as Zebinas Aplington, Waterbury, and Soloman Shafer strongly and persistently urged President Lincoln to adopt a strong anti-slavery position. If you have the time, make an appointment and take the Polo Historical Society’s Link Up With Lincoln Tour. Other attractions include Aplington House and Polo Historical Museum in Polo, and an interesting Lime Kiln set at the edge of an active limestone quarry. Nearby, White Pines Forest State Park and historic lodge lies along an abandoned Trail alignment and protects the most southern stand of White Pines in the United States. www.poloil.net/HistoricalSociety/: Polo Historical Society sites and Link Up With Lincoln Tour information. Hours and availability subject to change. dnr.state.il.us/lands/Landmgt/PARKS/R1/WHITEPNS.HTM: White Pines Forest and State Park, Civilian Conservation Corps. Lodge-restaurant and cabins. The trailhead of the Galena Trail and Coach Road is on the Peoria Riverfront, at the Peoria Visitor’s Center next to the Spirit of Peoria dock at the foot of Main Street. Beginning in the fall of 2008, road signs will direct travelers from this riverfront to Galena. Before leaving town, take the time to visit Peoria and enjoy the riverfront and downtown attractions, and the nearby state parks & historic sites. www.peoria.org: Peoria Area Convention and Visitors Bureau website. www.peoriacountyillinois.info: Illinois Ancestors presents Peoria County. www.wildlifeprairiestatepark.org: Wildlife Prairie State Park, bringing the early Illinois Prairie to life. Interpretive center, outdoor exhibits, programs and events. In 1839, Protestant Episcopal Bishop Philander Chase (1775-1852) founded Jubilee College on 2,500 acres of land 15 miles west of Peoria. It was one of the earliest colleges in Illinois, and included a theological department, a college for men, and separate boys and girls preparatory schools. The college opened in 1840 and closed in 1868, leaving extensive lands and an imposing stone half quadrangle that contained classrooms, a library, dormitory and a chapel. 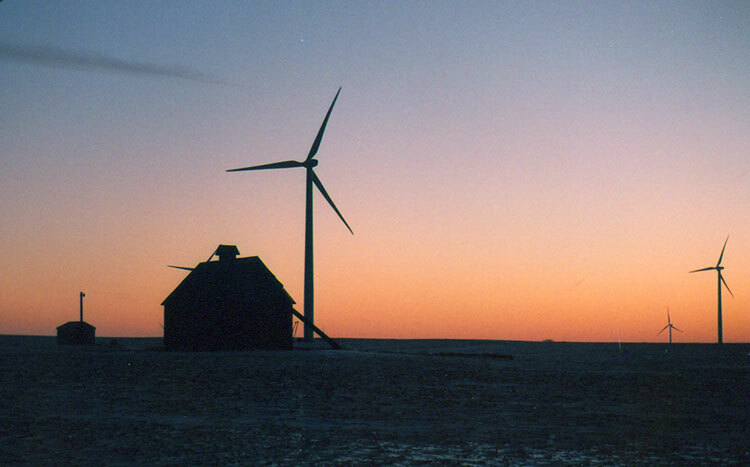 The remarkable building was constructed on the primitive Illinois prairie between 1839 and 1844 and is one of the earliest surviving buildings in or near the Trail corridor. Jubilee College is an Illinois State Historic Site, maintained by the Illinois Historic Preservation Agency. Guided tour, exhibits, and video presentation Tuesday-Sunday. Photo courtesy of the Galena Historical Society, Galena, Il. 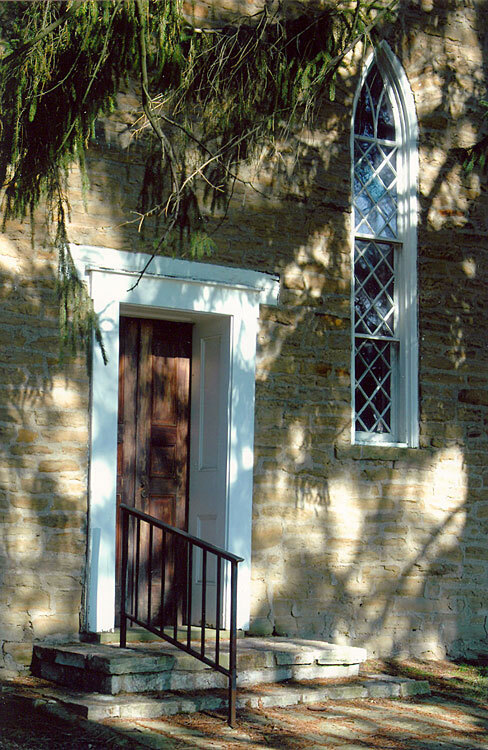 Local legend has it that sometime around 1820, Shullsburg’s namesake, a fur trader named Jesse Shull, sat down along the trail for a bite to eat and spotted badgers tossing bits of mineral from their holes. Jesse saw riches in these nuggets and was soon mining lead here, there, and wherever the Indians would let him dig. Other seekers joined him, and many, including Shull, became wealthy miners and smelters. Shull’s cabin and diggings are long gone, but tourists can explore the old Badger Hill Mine in Shullsburg’s Badger Park. The Badger Mine and Shullsburg are located on the Old Galena Wagon Road opened by Oliver Kellogg in 1825, now known as Lafayette County Route W, due north of Scales Mound, Illinois. www.waterstreetplace.com/shullsburg-wi-history.html: Shullsburg, Wisconsin tourist information. www.explorewisconsin.com/countypages/Lafayette.html: List and description of attractions, locations and contact information. www.eureka4you.com/magnetichillworldwide/Shullsburg-WI.htm: Gravity Hill, a natural curiosity that will leave you guessing if the laws of gravity really apply to Shullsburg. The Galena Trail at the Black Hawk Monument, Stephenson Co. 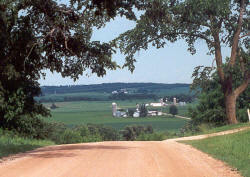 In 1827, Oliver Kellogg built his first trading post and stage stop at this grove between Dixon and Galena. 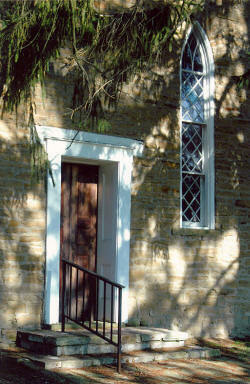 Known as Kellogg’s Old Place, it was the site of a desperate ambush and massacre during the Black Hawk War. Abraham Lincoln, then a young militia man, served on burial duty here after the battle. In 1858, area anti-slavery agitation reached a high point when Lincoln and Stephen Douglas debated slavery at nearby Freeport. After the debate, Lincoln met with friends and abolitionist supporters along the Trail in Polo, where he was entertained with a festive luncheon. 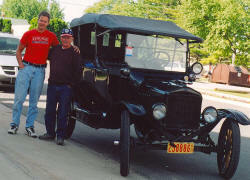 www.stephcohs.org: Stephenson County Historical Society, attractions and events.